​How YOU doin’? Well, let me tell you my knitty friends, you’ll be doin’ just fine once you’ve got this super-cozy, super-luxurious hat on your needles. 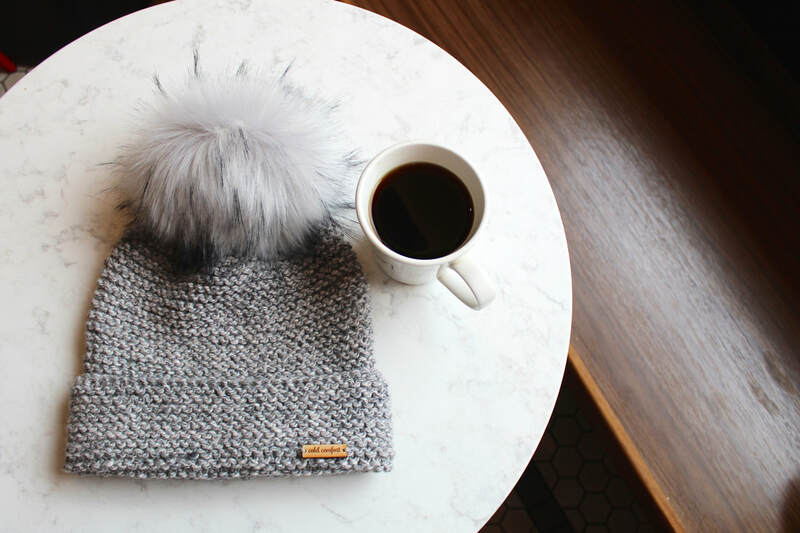 In my humble opinion, a hat like this is an essential part of any knitter’s holiday gifting strategy. It’s easy to customize the size, and the extra-deep brim allows the wearer to customize the fit/style. Plus, it knits up fast…like the-day-before-you-need-it fast. Just like Joey, it’s warm, soft, and simple. 11” (28 cm) length x 9.25” (23.5 cm) width / 18.5” (47 cm) circumference [un-stretched]; to fit 22-23” (56-58 cm) head circumference—average adult. 2 skeins in shade #203 “North Shore”. Sample used ~ 160 yards / 145 meters / 135 grams. ​One 16” (40 cm) circular needle size US 9 (5.5 mm). 14 stitches & 31 rounds = 4” (2.5 cm) in Garter Stitch.